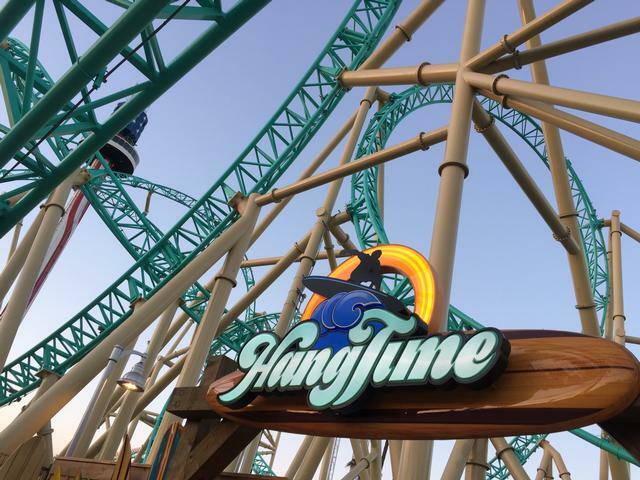 HangTime is an excellent roller coaster in The Boardwalk and one of the best attractions at Knott's Berry Farm. The minimum height to ride is 48 inches. A next-generation Gerstlauer Infinity coaster, at 150 feet tall and featuring a top speed of 57 mph, the first dive coaster on the west coast will offer a 96-degree drop and five inversions on a 2,198-foot track.